These days Google Adsense approval is not as easy as it used to be earlier. It’s tough to take Google Adsense approval these days. You will have to keep lots of thing in your mind before applying for the Google Adsense. When you’re writing your first post as the newbie blogger, then you should apply for Google Adsense approval immediately. I know your Google Adsense will not be approved on 1st day as you just started, but you will get clear idea that what you need to do to get the Google Adsense approval as they are changing their policy frequently. Here is a post on How to use Pen Drive as a RAM. I hope you would like this post. When I applied for Google Adsense, then my account got rejected. I knew that would happen, but I wanted to know the clear picture for the Google Adsense approval. There is no limit to apply for Google Adsense; you can request for many times until you don’t reach the destination. If your blogging site is following below things, then you can get Google Adsense approval in one day. Add Contact us and about us page. Your bio must come under every post. It is not necessary, but It will be good if you add this thing. If you do this, then your blog will come under an authority blog. You need to write SEO Based content. You can use Yoast SEO or All in one SEO plugin to get the better result. I use Yoast SEO. Add GDPR consent. This thing came recently. You need to define categories for your blog. It is essential for the blogger to define categories for each post so that readers could not face any problem and they could find stuff on your site easily. Each post should be more than 300 words. content must contain complete sentences and paragraphs, not only headlines. Internal link and an outbound link is imperative to add in every post. A theme should be standard; Google doesn’t like fancy themes. I use shamrock theme. It is a free theme. Do not add lots of widget on the right side and left side of the site. You can add Categories, Recent post. If your theme doesn’t have Default search bar, then you can add the search bar also. Do not copy others data and post on your blogging site. Google can catch you quickly, and your Adsense account will not be approved. Also, don’t do these things after Adsense approval. If Google caught you, then your Google Adsense account will be banned. Remove all the affiliate market link, you can add after Google Adsense approval. Use the Insert Header and Footer plugin to paste the code for Google Adsense Approval. You can do this thing manually also. But, if you don’t want any mistake and want Google Adsense approval in One day, then you should use this plugin. If you are following the above things, then there is no chance to get the rejection for Google Adsense approval. I followed the above stuff and got the approval in around one day. I have checked your website. Google ads are showing there. You are using many things in the widget area. Use 3 or 4 things there. And check your article English also before publishing the post. 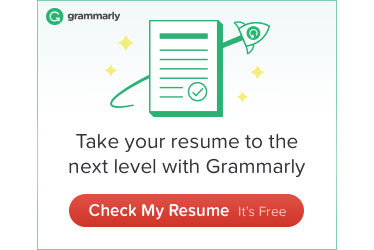 You can use Grammarly.com to correct your English. And your content shouldn’t be copyright. First, do these things and apply for Adsense and then let me know What Google says. 1. Google will put ads on your account. First, you can use “AdSense Integration WP QUADS” plugin to show ads on your blogging site. It is a free plugin and easy to use. This Sunday I am thinking to write an article about this. Wait for 13th Jan 2019 to know How to put Google Ads on your blogging site. 2. They will ask for the account number when will you cross 100$ in earning.